Please call us at 415-362-5158 to schedule a consultation. Parking is difficult in downtown San Francisco. We recommend using public transportation if possible. 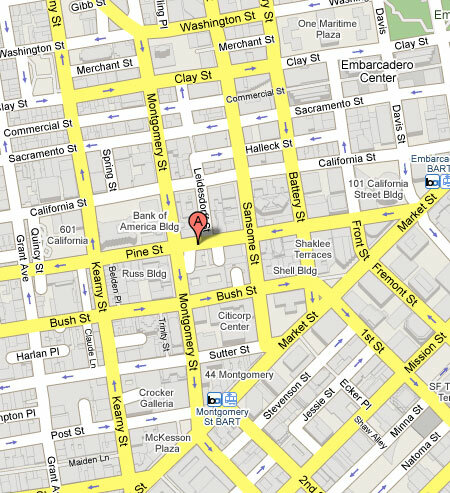 We are a few blocks from the Montgomery Street BART station.